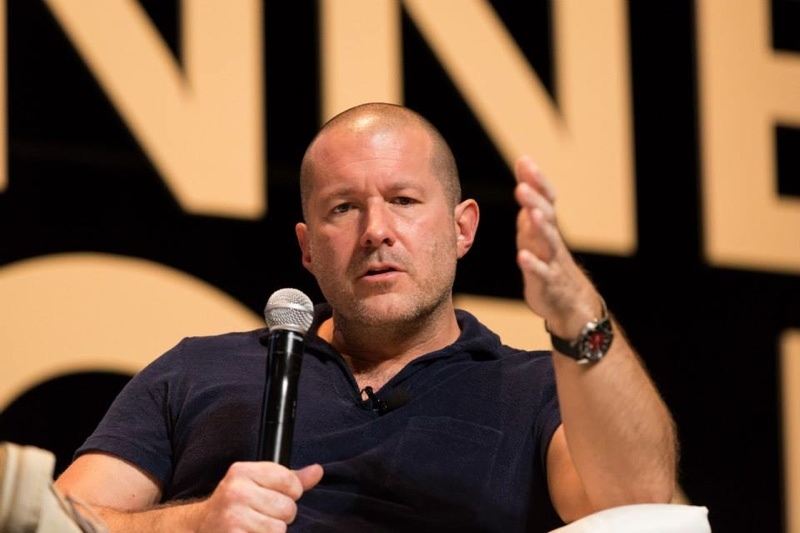 Vogue editor Robert Sullivan today published a profile of Apple's Jony Ive, documenting his rise from a small London design firm to become one of the most recognized and respected designers in the world. The life-changing moment happened when Ive met Steve Jobs and the two "just clicked." Ive talks about feeling a little apart, like Jobs. "When you feel that the way you interpret the world is fairly idiosyncratic, you can feel somewhat ostracized and lonely"—big laugh here—"and I think that we both perceived the world in the same way." In his time at Apple, Ive has led design efforts on a number of iconic products including the iMac, iPhone, MacBook Pro and most recently the Apple Watch, which the company unveiled alongside the iPhone 6 and 6 Plus and which Ive showed to Sullivan weeks before its public unveiling. Speaking about the Apple Watch, Ive hopes to rekindle interest in a device the smartphone threatens to make obsolete. "It’s strange when you’ve been working on something for three years . . ." he says, shaking his head. He describes the trajectory of clocks to watches: from a public clock in a Bavarian square to timepieces owned by royalty, to military chronometers, to the watch’s arrival, only at the beginning of the twentieth century, on the wrist. "It’s fascinating how people struggled with wearing this incredibly powerful technology personally." The cell phone, of course, killed the watch to some extent. Now he wants to reset the balance. Ive's emphasis with the Watch and all of his designs is simplicity. "Everything we’ve been trying to do," he says, "it’s that pursuit of the very pure and very simple." Ive also strives to foster an intimate connection between people and the technology they use, a philosophy that is apparent in the Apple Watch. "You know how very often technology tends to inhibit rather than enable more nuanced, subtle communication?" he asks. This is the question that haunts the son of a craftsman: Is he making tools that improve the world or shut people down? "We spent a lot of time working on this special mechanism inside, combined with the built-in speaker" —he demonstrates on his wrist. You can select a chosen person, also wearing the watch, and transmit your pulse to them. "You feel this very gentle tap," he says, "and you can feel my heartbeat. This is a very big deal, I think. It’s being able to communicate in a very gentle way." The full interview and profile is an interesting look at Ive, his design philosophy, and the Apple Watch. Ive's careful design will be put to the test once again when the Apple Watch hits retail shelves early next year. The smartwatch will be available in a variety of configurations designed to appeal to athletes, fashionistas, and the everyday consumer. Interestingly, He's not wearing the Apple watch. I do think the Apple Watch is going to flop. I just don't think there is going to be a wide adoption of folks who want to start wearing watches. I think it is going to be a bit too nerdy and awkward. and. . .I'm going to be a bit creeped out if people start sending me their heartbeat. . . What am I supposed to think when that happens. :confused: New creeper threat vector IMO. What I don't get is why they continue to harp on the pulse transmission thing as this really intimate way of communicating. It's such a gimmick! You'll probably use it once and then never again. Should my wife and I have the watch, it would be a very elegant way to say "I'm thinking of you" or "I love you" throughout the day or when apart. That said, texting one of those is doing me well for now. Oh ya, and I'm not in a position to shell out an additional $700 to make texting more convenient. They're really trying to force this on the fashion crowd. The fact that they are pushing this as a fashion piece is a turn-off. It also lets you know what their take on the demographics of Apple gear users are. No longer is the focus on "Think Different". People are trying to fit in. These "Apple Watch will flop, it's pointless, etc" threads will be fun to look back on in five years.